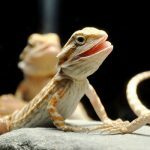 Keeping a reptile as a pet would take a lot of pet supplies, which would all be necessary for keeping them healthy and happy. 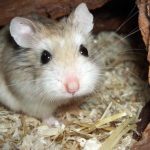 Therefore, for novices, it would be better if they purchase a starter kit to start a decent habitat for their pet. As for blue tongue skink owners, you should know which type of supplies would be good for them, especially when it comes to their enclosures. These types of lizards aren’t good climbers, so the best type of enclosure for them should be wide enough for them to have enough space to roam on. In this article, we would be talking about the best blue tongue skink enclosure in the market. For an adult blue tongue skink, they would probably need an enclosure with a wide floor space. 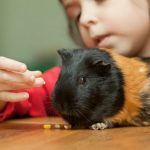 And the floor space should be at least 8 ft wide, however, if you are a novice or planning to use a temporary terrarium for your pet, then you can use a smaller enclosure. Skinks are really active, which is why getting a very wide enclosure for them would be much better. If you don’t know what or how to get the best enclosure for your skink, then you have come to the right place. Since blue-tongued skinks aren’t climbers, this Exo Terra terrarium would be a perfect choice for them. The glass tank is about 36-inch wide and 18-inches tall, it has enough space for your pet to roam and not high enough for them to climb to. Skinks aren’t good climbers, so if you are planning on using a tall terrarium for them, and has included some climbing items in it, there would be a high chance that your pet would climb and fall from it, causing it to get injured. 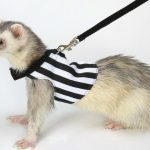 But with a short and wide enclosure as this product, you can prevent your pet from climbing too high and possible injuries. This enclosure has two doors, a very secure lock to prevent escape, great air ventilation, and a removable stainless steel cover at its top. This terrarium is a bit wider than the previous enclosure. Skinks can grow to up to 20 inches long, therefore, it is a necessity for you to get a large enclosure for your scaly friend. This tank has a dimension of 30-inches wide and 12 inches long, its height is not too high or too low for your skink, just the perfect size. 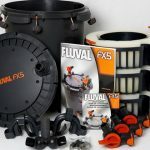 However, this tank is specifically sold as a turtle tank kit, therefore, the tank would be included with items that are necessary for a turtle tank. But don’t worry, you can also use the included items as a decoration for your reptile’s habitat. The kit includes a decorative filter, heating lamps, basking platform, cartridges, screen top, and boxwood plant mat. If you are looking for a large enclosure that is not included with other decorative items, then this Zilla tank would be the perfect option for you. The tank is about 30 inches wide and 12 inches tall, so there’s no need for you to worry about not having enough space for your blue-tongued skink. This tank features an extra large and clean habitat for your pet lizard. However, since this tank was specifically made for aquatic use, the side of the tank has a half-open window for necessary filtering. You can actually use this side window to mist and heat up your pet’s enclosure. Although this was specifically made for aquatic animals, it actually works great as a reptile’s habitat. And since it has a wide dimension of 36 inches, it would make a great enclosure for your little bluey. This tank includes a reflector and an electrical 24-inch light fixture. The difference between normal and acrylic tanks is that acrylic tanks are much stronger, clearer, lighter than glass tank terrariums. 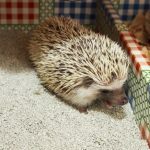 So if you are looking for something durable, you should consider getting this type of terrarium for your pet lizard. It is more impact-resistant and would be less prone to crack and chipping, especially when you have kids running around your house. 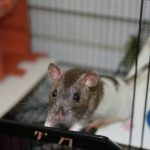 Here is another great option as your pet’s enclosure. 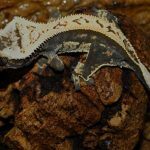 This Perfecto Tank is a bit cheaper than some of the product listed in this article, therefore, this tank is a great option for new owners of blue-tongued skinks. But this is also great for those who have been taking care of reptiles for years. However, since this is an aquarium tank, some tanks would not be included with a top cover. So if you have decided on using this product as your lizard’s enclosure, make sure you get a mesh cover, or any of the likes, to ensure your pet’s safety. You can purchase a separate tank cover in Amazon. 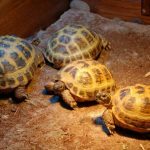 Retizoo is a well-known name when it comes to supplying a reptile’s needs, and they provide quality items that would satisfy their customers. This terrarium is perfect for skinks as it has a dimension of 36 inches by 18 inches by 18 inches, this is tall and wide enough for an active, ground-dwelling skink. The tank is included with a good screen on top to provide excellent ventilation, and freely allows infrared and UV ventilation. The tank has a raised bottom frame allow you to fit in a substrate heater, this is important as skinks need lots of heat. Also, the front doors of the tank can be opened separately for an easier access in the terrarium. Here is another SeaClear Acrylic tank that you can use as your pet’s habitat. This is very similar to the previous SeaClear tank above, but instead of 40, this tank is about 30-gallons. It may be smaller than the previous one, but it is still big enough for your blue tongue skink to be its perfect terrarium. Since this tank also came from SeaClear, its glasses are also made from acrylic, which is much stronger and durable than a normal glass tank terrarium. The tank is strong enough to prevent chipping and unwanted cracks on the glass. If you kids and/or pets in your house, we recommend that you get this enclosure for your bluey to provide a safer home for it. 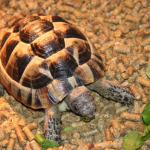 Exo Terra is another well-known company when it comes to providing the needs of reptiles. Not only are they well-known, but they also provide high-quality materials for their customer’s satisfaction. 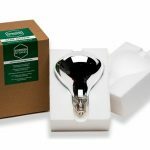 Glass terrariums works great when it comes to keeping heat inside the terrarium, therefore, if you want an enclosure that can keep humidity well, then we suggest that you get this product. This tank is patented with front windows to provide proper ventilation, it also has a raised bottom frame to allow you to fit a substrate heater below the tank. Skinks control their body temperature through thermoregulation, therefore, it is crucial for your pet to have enough heat inside its enclosure. This all-glass standard size aquarium is made with care, which would assure the tank that it can stand up to all kinds of application. This aquarium tank also comes in various sizes, as well as Oak and black trim styles. This large tank also features a one-piece center-braced frame that would eliminate glass bowing. The product’s dimension is about 30.2 inches wide, 12.5 in width, and 12.8 inches tall. Their dimension is not too bad as your skink’s first enclosure. 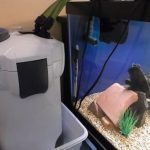 However, this tank doesn’t come with a lid, therefore, you’ll have to purchase a separate one to ensure your pet’s security. It would prevent from escaping its enclosure, and would also keep out unwanted visitors such as cats and dogs. If you are taking care of a baby blue-tongued skink, you might be planning on using a smaller tank first until you find a bigger enclosure that would suit your pet’s needs. A tank with a dimension of 24 x 18 x 12 inch would be enough for a baby skink. But once your skink has grown about 15 inches in length, make sure that you immediately get a bigger tank for your little bluey for better comfort. Like most Eco Terra enclosures out there, this enclosure also has front doors that open easily, closable inlets for proper installation of necessary equipment, and raised bottom frame to allow you to install heating equipment at the bottom. When choosing an enclosure for your blue-tongued skink, it doesn’t have to be necessarily made for them. Using a normal 30-gallon tank makes a great enclosure for your reptile. Remember, blue-tongued skink can grow from 18 to 24 inches long, therefore, make sure to provide it with a large tank with enough heat and hiding places to keep your pet healthy and happy with its habitat.